Dispatch times vary depending on the item. As a general rule, pictures fridge magnets and cushion covers will be dispatched within four working days. 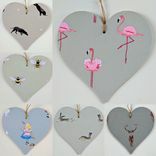 Trivets, placemats and coasters will take five working days to dispatch. Wall tiles will be dispatched between five and fifteen working days, depending on the size of your order. All other items will be dispatched within in four working days. You will be notified as soon as reasonably possible of any delays with your goods. Delivery is free within the United Kingdom. This is for 2nd Class Royal Mail or a 3-5 working day courier, with the option to upgrade to 1st Class or a 48 hour courier for an additional £3. The exception to this are tiles, which will be sent 1st Class or 48 hour courier. Free delivery applies to items being sent within the UK only. We use different carriers depending on the item you have purchased. Most are sent via Royal Mail with some larger items sent with a courier. Should you not receive your items within 15 working days you must notify us at simply-divine-things@hotmail.co.uk within 60 days of purchase. We will require you to sign a form to confirm you have not received your purchase/s to enable us to ask Royal Mail or the courier to investigate the loss. After this has been received we will then replace the item/s wherever possible, or refund your full purchase price plus postage cost. All items are packaged appropriately with most wrapped in at least one layer of bubblewrap, or more if they are fragile. If you receive items that have been damaged during transit, you must contact us at simply-divine-things@hotmail.co.uk within seven working days of receipt. You must keep all packaging and we will require the item/s and packaging to be returned to us. When they have been received back we will either send out new items wherever possible or refund your purchase price in full, plus any delivery charges you incurred for the return. We currently only ship within Europe, however some items are excluded from international shipping, and this will be clearly stated with the item description. There is a charge of £4 for Europe, regardless of how many items you purchase. The only exception to this is tile orders (please see below for further details). You as the purchaser, are responsible for any charges/taxes that are applied at customs or any other place when they enter your country. Items will be marked as merchandise and will have the correct value on the customs declaration. We use Royal Mail Airmail which takes up to seven working days to arrive. Should you not receive your purchase/s within 25 working days of them being dispatched, please get in touch at simply-divine-things@hotmail.co.uk no later than 60 days after purchase. We will require you to sign a form to confirm none receipt and we will replace the missing item/s wherever possible, or issue a refund of the full price including shipping. 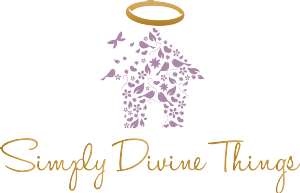 If you receive items that have been damaged during transit, you must contact us at simply-divine-things@hotmail.co.uk within seven working days of receipt. You must keep all packaging and we will require the item/s to be returned to us. When they have been received back we will either send out new items wherever possible or refund your purchase price in full, plus and delivery charges incurred for the return. Tiles can shipped outside of the UK, however due to the weight and packaging, they do not have a standard shipping charge. Within Europe the charges are £4 for every four tiles (for example 10 tiles would cost £12). Please get in touch for a quote before purchasing.